I loved The Sopranos. So, when I saw that Edie Falco was starring in Nurse Jackie in 2009, I tuned in. This was a totally different role for Falco, and I was intrigued. Unfortunately, though, I moved to an apartment that did not have Showtime sometime during the second season. Then, a few weeks ago, I saw that Netflix was now carrying the show's entire run. I had painting to do, and I had recently finished Scandal, so I hunkered down and started watching. 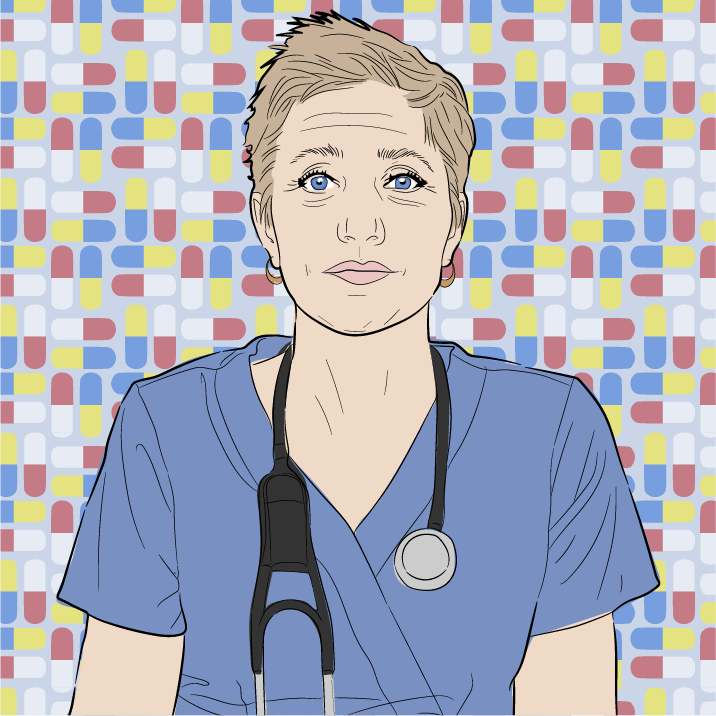 For those of you who missed Nurse Jackie, it's the story of Jackie Peyton, a nurse at All Saints hospital who, among other things, is abusing prescription painkillers. True to form for HBO and Showtime shows, she's a deeply flawed character, but the audience roots for her through all her bad choices because she's not all bad. In fact, she's quite a good and caring nurse. Jackie lives in Astoria, Queens, and so this adds a little something extra for me, personally. The Kaufman Astoria Studios (where I assume this series was mostly shot) were in my orbit when I lived in Astoria, and so I recognize quite a few of the restaurants and locations on which the show was shot. It made me a little homesick for my old neighborhood, but you don't have to be a current or former Astorian to enjoy the series. I'm not going to spoil the show for you, but I think that, besides the drama that will keep you coming back, there are quite a few charming, endearing characters that make this show a good watch. Among my favorites are Zoey Barkow and Eddie Walzer. You probably won't like Eddie at first, but he became one of my favorites. As can be expected from Showtime shoes, there are a few racy scenes here and there, especially in season 5 with the introduction of Dr. Carrie Roman. So, you know, brace yourself. And then, of course, there is quite a bit of drug use. An interesting thing to watch over the 80 episodes is the evolution of the cast. Zoey's love life is pretty interesting for a while, and I think Jackie gets prettier as the series progresses. If you're a Tony Shalhoub fan, stick around till the end, and you'll get a little bit of him, too. I can't say I know, exactly, what happens to Jackie at the end, but we can discuss that when you're finished watching. Get back to me. Thanks. If you're looking for your next binge while you wait the excruciating weeks between episodes of Downton Abbey and unbearable months until the next season of Unbreakable Kimmy Schmidt, I say give Jackie a try.